Way back in the day, there was Menotti's Bar on Windward. Then came the Prohibition Era, and it became Menotti's "Buffet", a little grocery store to serve as cover for the Speakeasy downstairs, which also served as a distribution center for the liquor being smuggled through the underground tunnels from the off-shore ships hauling it in. 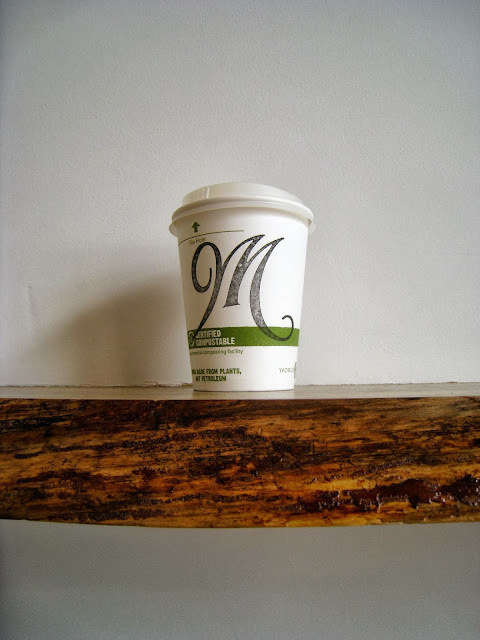 Well, now we can all drink freely, but Menotti's is making its return to Venice with the opening of Menotti's Coffee Stop, next door to our current Speakeasy - The Del Monte/Townhouse. 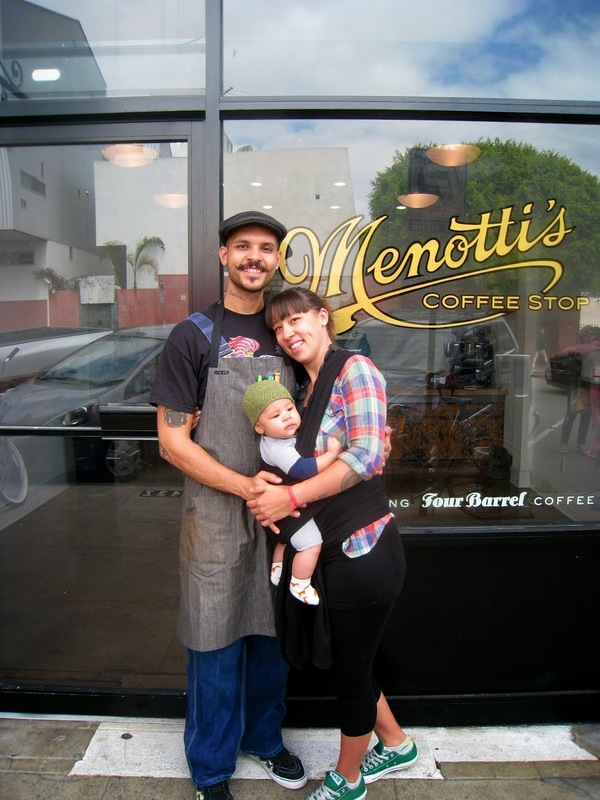 As the owners of The Townhouse, Louis and Annette Ryan, continue to expand and honor the historical roots of Venice, they have turned the empty space now filled by Menotti's into a gorgeous venue for your neighborhood coffee fix at the beach. They also found the very best guy to run it, Christopher "nicely" Abel Alameda, a true coffee professional and three-time World Latte Art Champion. He KNOWS his coffee. And his name is nicely (because he played "Nicely Nicely" in Guys and Dolls and kept getting voted "Most Courteous" in school!) so you know you're going to get good service. Alameda is from Far Rockaway, New York (and you can hear it in his accent) but began his career in coffee when his Mother moved them to Seattle when he was 15 for a better life out West. Seattle was pretty much the world coffee center at the time, and Alameda learned his trade at Espresso Vivace - known internationally as a center for "coffee technique". Contacts made there led him to leave Seattle for Venice and a job at Intellegentsia. He considers his time spent there to be his "Grad School" in coffee. 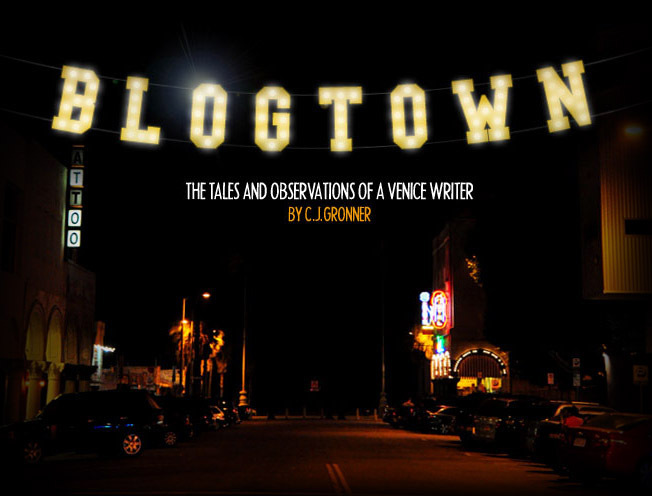 "I was embraced by Venice while I was there, even in such a sterile environment." 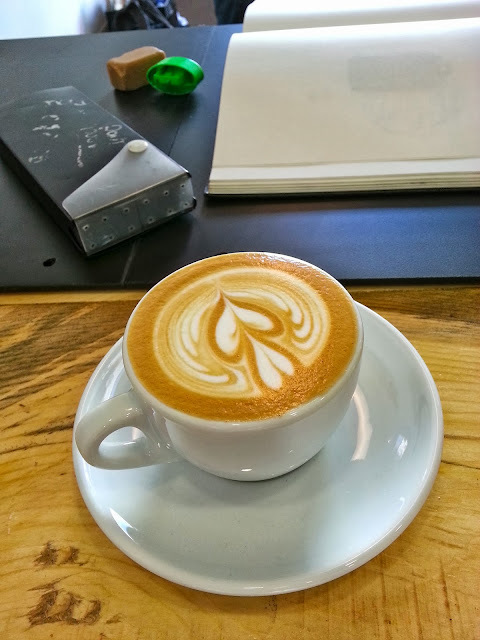 When he felt they were getting a bit too corporate for his taste (and mine), he embarked on his "accelerated business school of coffee" at Handsome Coffee downtown. The back of his neck features a tattoo tribute to all of the above places, showing how seriously he takes it all. While at Handsome, Alameda was approached by Derek G. Taylor, who is in business with the Ryans. Taylor explained that the Ryans were interested in opening a coffee venue next to The Townhouse on Windward and asked if Alameda would be into partnering up with them. With his first son about to be born (the darling baby Abel) to Alameda and his lady, Kailani Rodde-Ector, they were looking for somewhere close to home for him to work (Kailani was born and raised in Venice, and they have made their happy home here). Alameda appreciated that "Menotti's is going to be a Mom and Pop place, because Louis and Nettie are a Mom and a Pop. We want to focus on raising our family in a great family town." The Ryans have raised their own children here, and he liked that it was going to be a family operation, geared to our locals. We like that too. As Alameda explained, "The Ryans are interested in doing positive and beautiful things for Venice. They take care of their businesses and the history behind them." To that end, Menotti's truly has that sense of place that could only be Venice. The tables are old whiskey barrels and the cream and sugar holders are liquor bottles, both tipping their hats to the original vibe of the place. The counter is made of the original tin ceiling of the place. The music will be played on a record player - vinyl. The Four Barrel Coffee (from San Francisco) will be made on a special La Marzocco machine (in a custom turquoise shade to match the ocean outside). The pastries will be sourced by our friends at GTA. There will be record listening parties, photo exhibits, seminars to make your own coffee at home way better, and always an excellent place to stop in and get your caffeine and say hi to friendly faces that you know. "What's left of the REAL Venice is the community engagement," said Alameda. I both second this and appreciate it. We NEED people like this to honor our past and establish a new classic Venice spot for years to come. Menotti's is pure Venice, top to bottom, and I hope you will join me in warmly welcoming them, supporting them, and thanking them for helping to keep Venice Venicely. Menotti's Coffee Stop will be open daily 8 am - 8 pm.